Where Is The Fifth Pig? This is Dutch anti-Nazi propaganda from 1940. 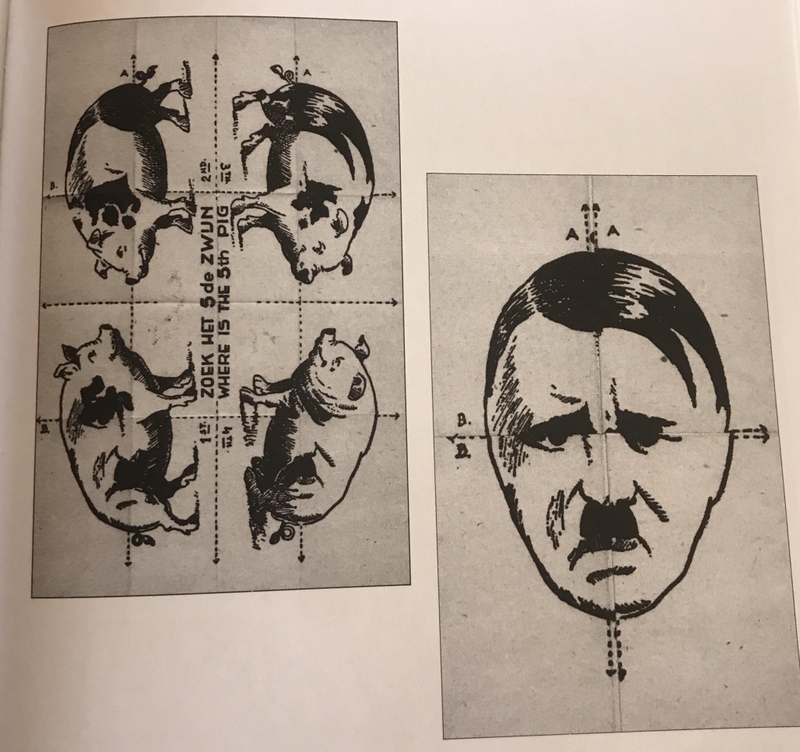 The page shows four pigs and asks “where is the fifth pig?” Fold, the paper correctly, and the fifth pig is revealed as Hitler. Author Brian CarnellPosted on September 20, 2018 March 23, 2019 Categories UncategorizedTags Adolf Hitler, Propaganda, World War IILeave a comment on Where Is The Fifth Pig? 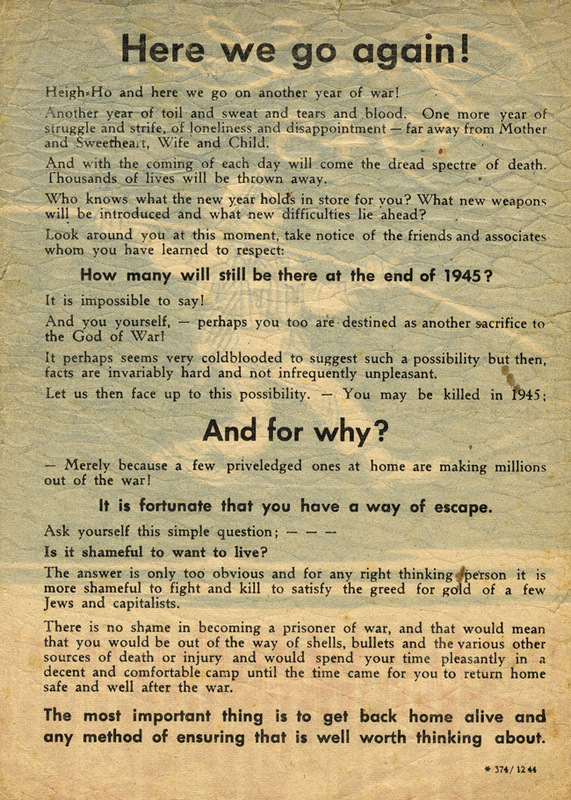 This is a leaflet produced by the Nazis in 1944 urging American soldiers to surrender in order to not be killed in 1945. This animated short was produced by the Army Corps’ First Motion Picture Unit and MGM, and released by the US War Department in 1944. 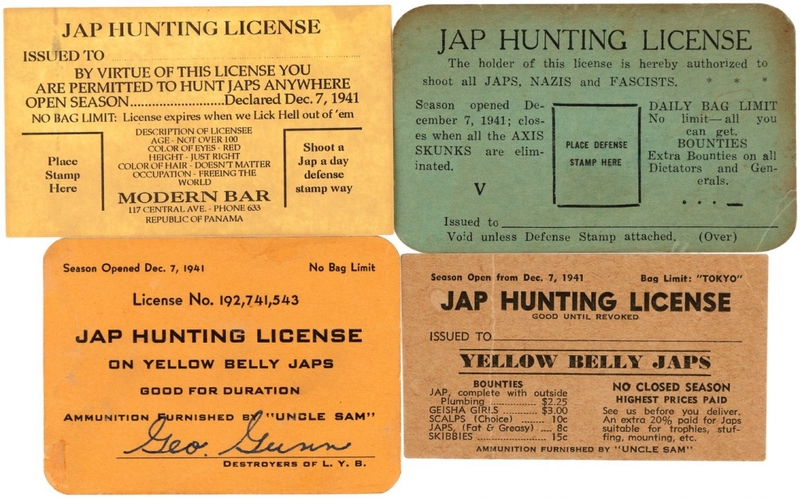 Lot of ten wallet cards, 2×3.5″ to 2.5×4.5″ issued during the 1940s. 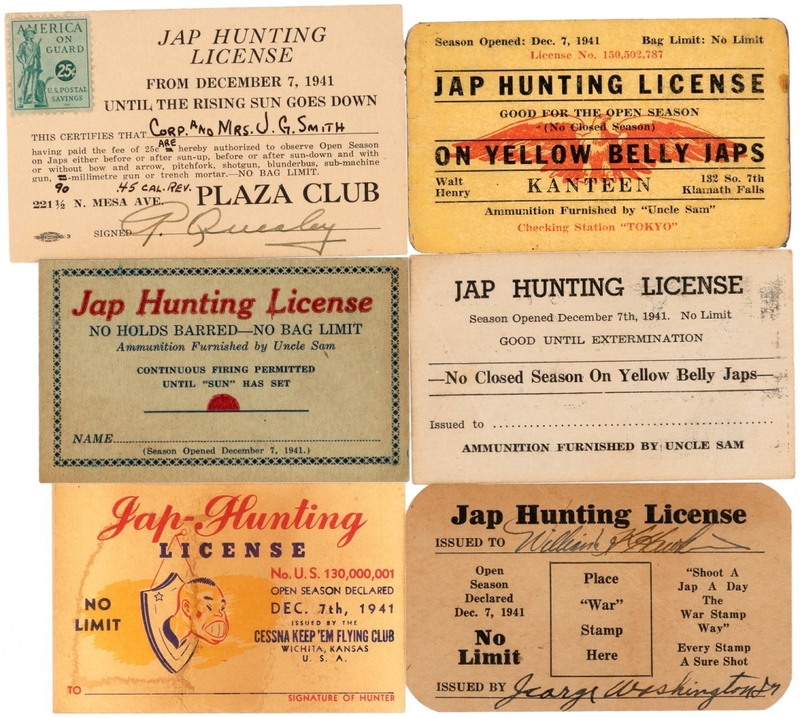 Cards represent a variety of designs and were issued by bars, the “Cessna Keep ‘Em Flying Club” of Wichita, KS, The Quapaw Chieftain of the Quapaw tribe, even a local judicial candidate (pictured on reverse). Quapaw-issued card has space for US Defense Stamp and another card has a stamp in place. Text phrases include “No Holds Barred, No Closed Season, No Limit, Ammunition Furnished By Uncle Sam,” etc. 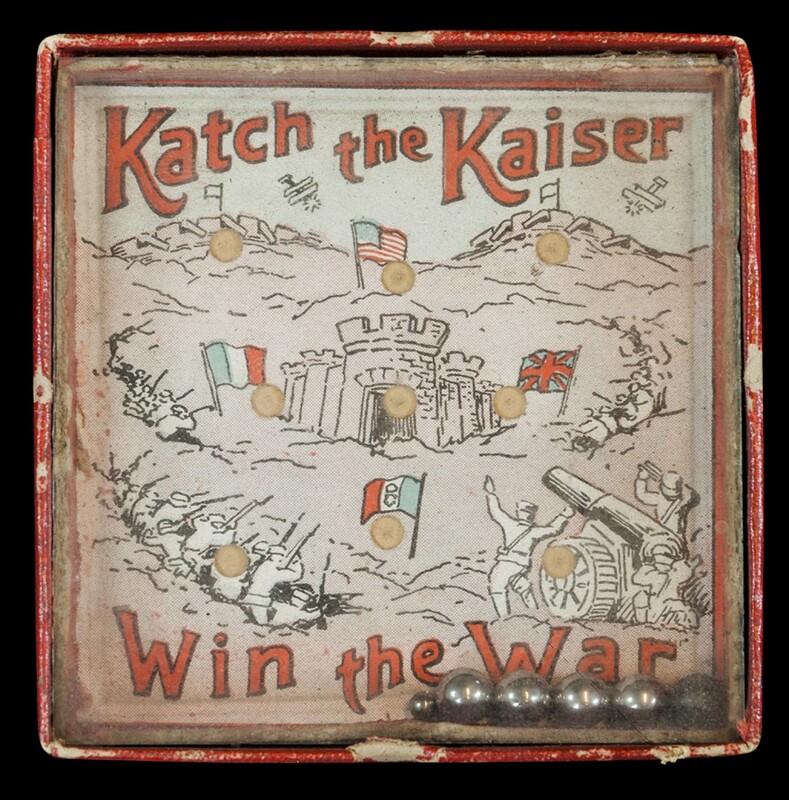 Of the cards, one features rising/setting sun image while another shows cartoon of Japanese head mount on wall. Whatever else you can say about it, anti-Japanese propaganda from the World War II era was not subtle. 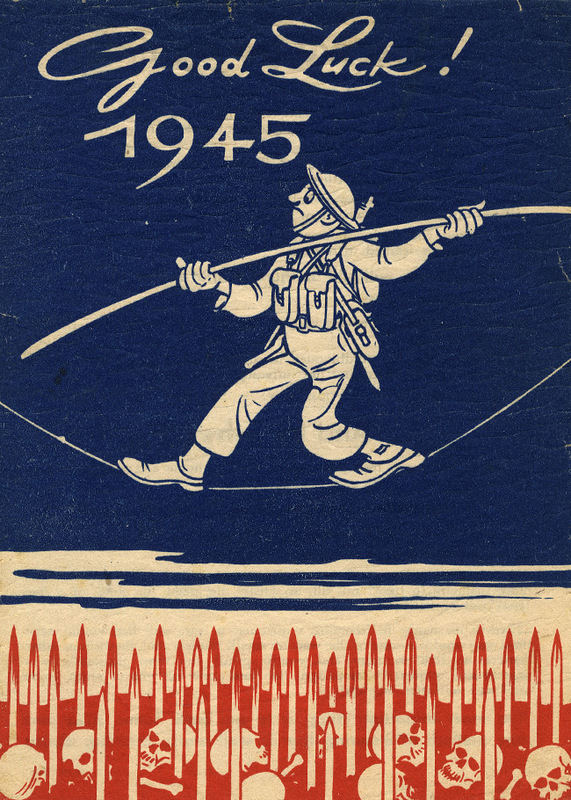 This is a pamphlet/magazine published in 1942. The interior features text along with black-and-white photographs of Japanese war crimes.